Here in Houston we drive. We drive a lot. Obviously having a lot of time in the car provides me with ample opportunity to come up with some ideas. Below are my top three. I'm sure we're all in the same boat here. You think the other guy is taking a left, but instead is actually taking a u-turn and you nearly hit them straight on. It's time for the u-turn signal. Just an extra click past the left hand signal lever and some extra LED light somewhere indicates the driver's intentions. How does this not exist already? The way brake lights currently work the brightness is the same whether or not someone is applying the lightest of pressure or truly slamming on the brakes to avoid a collision. 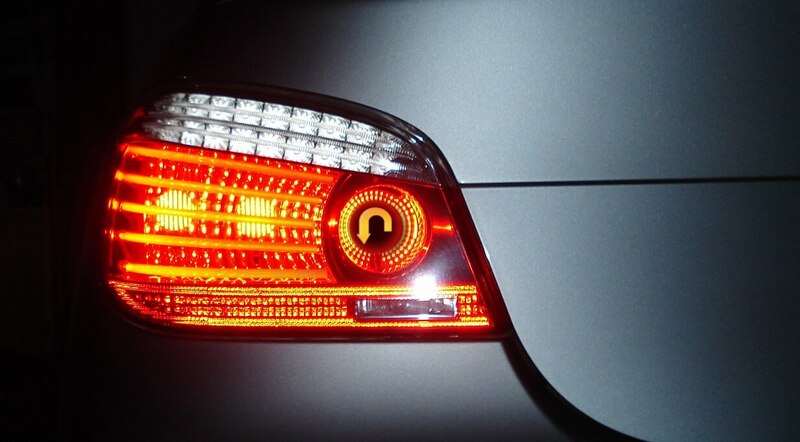 Instead, brake lights should indicate your rate of descent or pressure applied to the brakes. Show the difference between light and heavy braking visually. We're literally living in the future and still limited to the honk and the middle finger as far as communication goes. Instead of these archaic methods there should be a better alternative. Granted, I have not fully fleshed out the best idea here, but there should be some kind of pre-programmed message options that you can send to other cars in certain situations. For instance, when your car detects that someone veers sharply into your lane. You hit a button on your steering wheel and a message is sent to the other driver: "Stay in your lane, bro". Maybe a more standard message... Either way, there is a big need for car communication when someone is a terrible driver.